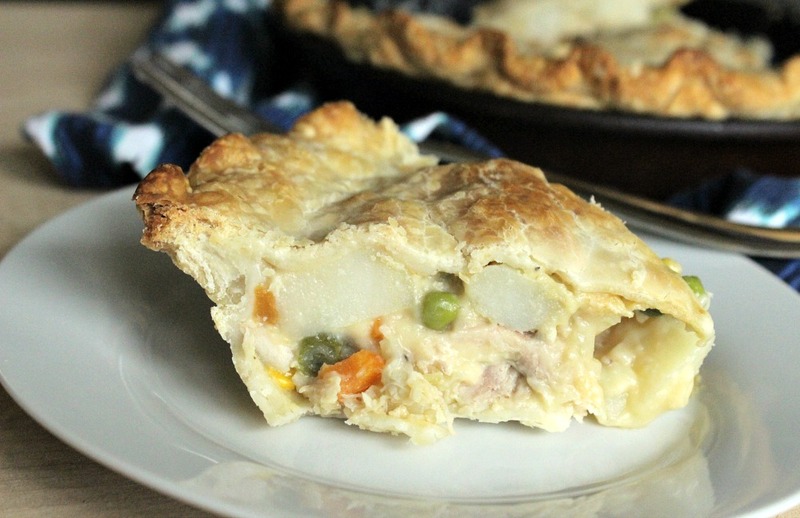 A classic Chicken Pot Pie Recipe is the perfect comfort food for those cold nights in. Welcome to Day 3 of my old school recipes where I share my tried and true favorites that I’ve been cooking up in my kitchen for years. 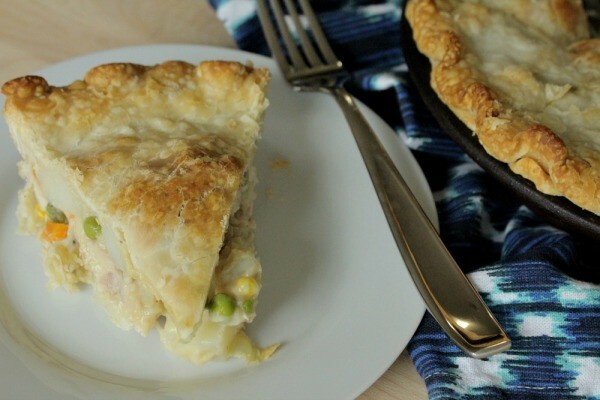 I’m certain this Chicken Pot Pie helped us make it through the long winters in Alaska. It was our first duty station with the Air Force and I was constantly looking for comfort recipes. I have many good memories of serving meals like these to my young little family and our guests. We were a tight knit community that loved to feed each other. Needless to say, I have many good memories of that place! There’s nothing fancy or complicated about this recipe. It’s simple, it’s basic ingredients and I even use store bought pie crust. Why? Because I have a hate/hate relationship with making pie crusts myself. 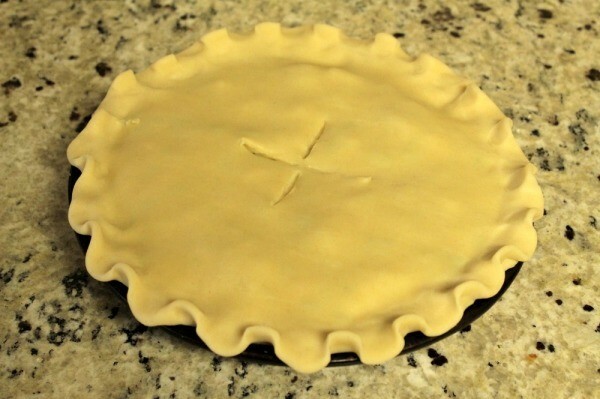 The last time I tried to make homemade pie crusts, I ended up in tears and I believe I had to send my husband to the store for the pre-made ones. 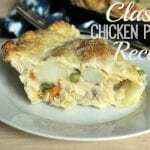 One thing that makes this Chicken Pot Pie Recipe so easy and fast is I use already prepared shredded chicken that I have in my fridge. At the beginning of the week, I’ll cook a whole chicken in the crock pot all day, shred it up and use it for various recipes throughout the week. The last one I made I was able to make Chicken Noodle Soup, Chicken Quesadillas and this Chicken Pot Pie with one chicken. I’ll share next week how I prepare my whole chicken. It is as easy as possible and turns out absolutely amazing. It all starts with dicing a medium size potato and cooking it in a small saucepan until soft. While the potatoes are cooking, prepare your bottom layer of pie crusts. I know, I know…I can’t even make store bought pie crusts look good. But this is just the bottom layer, so we’re good. 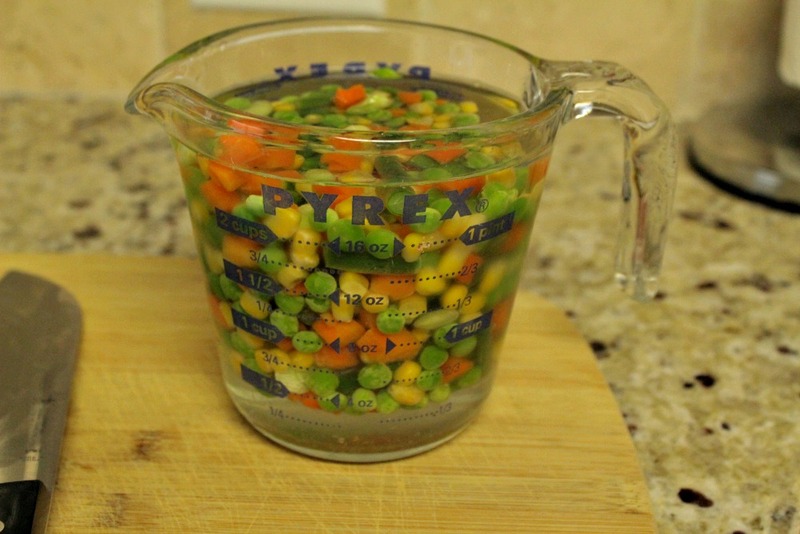 In an effort to make this even simpler, I use a bag of mixed frozen veggies. They need to be somewhat thawed before you add them to your mixture, so I put the two cups of veggies in a dish and cover with warm water. They thaw out a little while I’m preparing the rest of the Chicken Pot Pie. In a medium saucepan, melt your butter. After it’s melted, add the onion and cook until soft. Next add the flour, salt and pepper. Stir until well blended and cook for 1 to 2 minutes, stirring constantly. 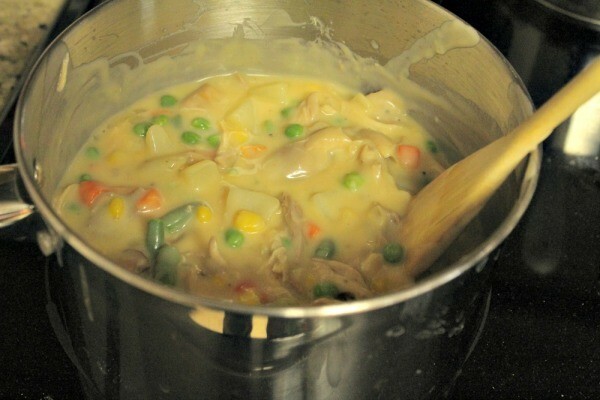 Gradually add the chicken broth and milk and stir constantly, until thick and bubbly. 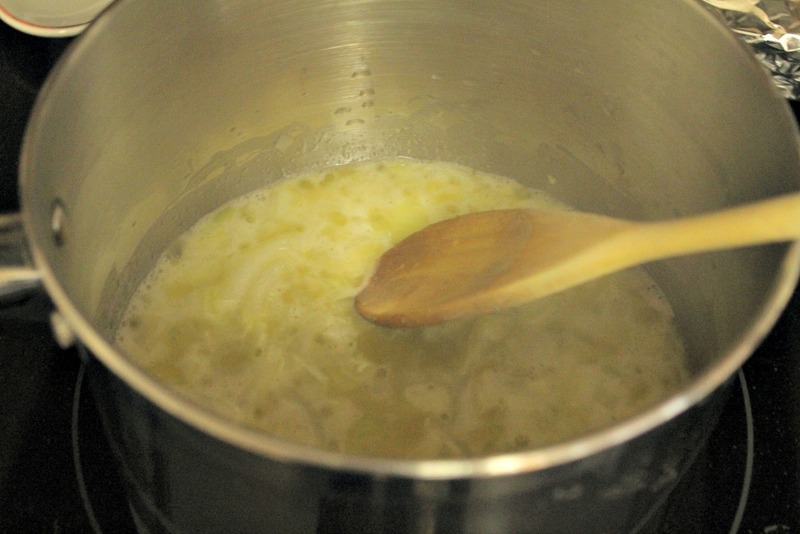 Cook the mixture until it’s thick like gravy, about 7 to 8 minutes. After it’s thick, add in your shredded chicken, mixed veggies and potatoes. Stir all together and remove from heat. Spoon the mixture into the prepared pan with crust. Top with the second crust and flute the edges. Cut slits in the crust in 4 places, as shown. 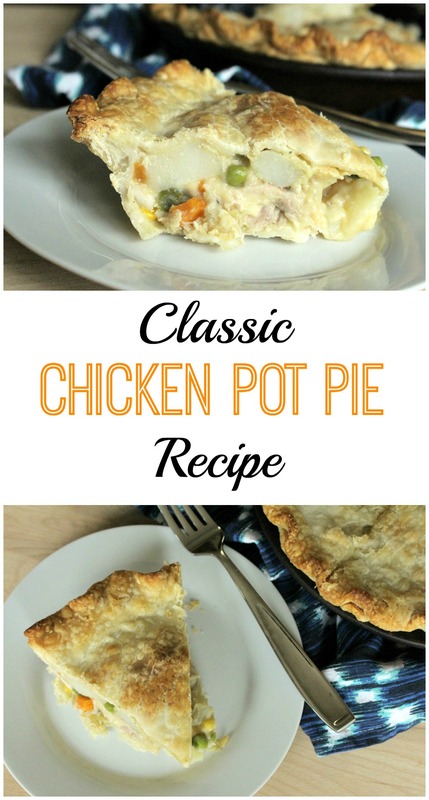 Put it in a 425 degree F oven and let your house fill with the amazing smell of Homemade Chicken Pot Pie. Enjoy! 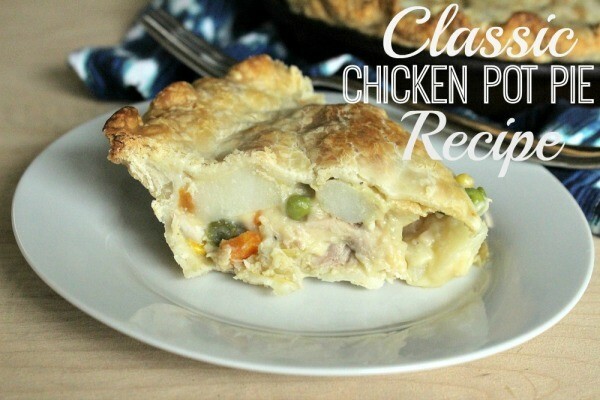 An easy and classic Chicken Pot Pie Recipe. It's the ultimate comfort food and perfect for those cold nights in. 1. Preheat oven to 425 degrees F. Prepare the crusts for a 9-inch pie. 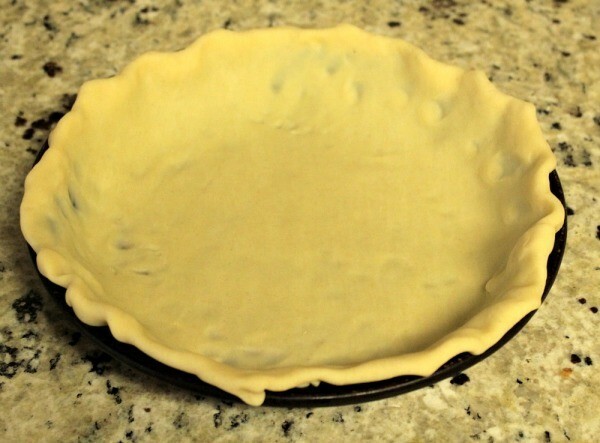 Place the bottom crust in the pie pan. 2. Peel and dice the potato. Put in a small saucepan, cover with water and cook for about 10 minutes, until soft. 3. In a medium sauce pan, melt the butter over medium heat. Add the onion and cook until soft, about 2 minutes. 4. Stir in the flour, salt and pepper until well blended. About 2 minutes. But watch it closely so it doesn't burn. 5. 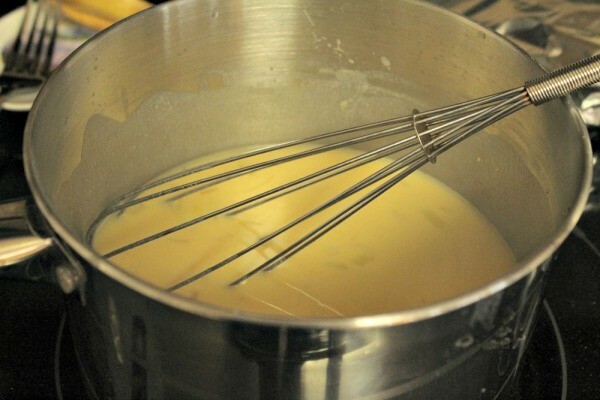 Take a whisk and gradually whisk in the chicken broth and milk, stirring constantly until it's thick and bubbly like gravy. 6. Add the shredded chicken, potatoes and mixed veggies. Remove from heat and stir. 7. 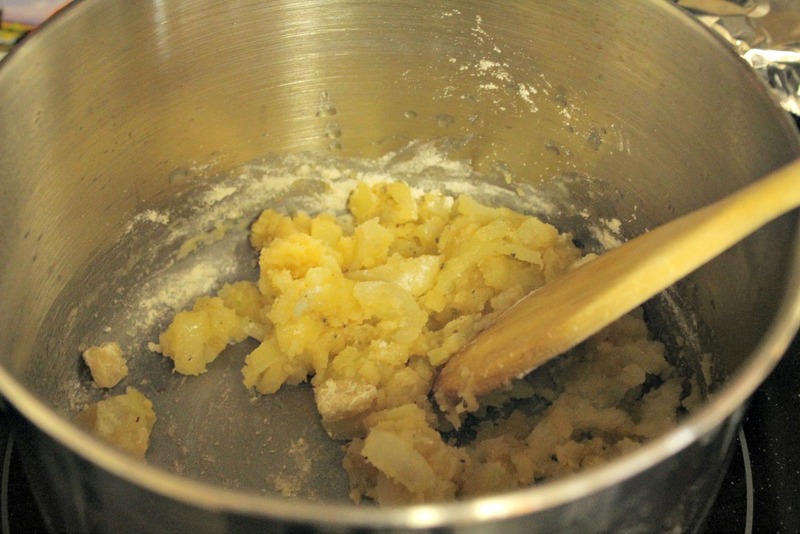 Spoon the mixture into your prepared pie pan. Top with the second crust and flute the edges. Cut 4 slits in the top of the crust. 8. Bake for 30 to 40 minutes, until the crust is lightly browned. Let sit for 5 minutes before serving. Check the crust after about 15 to 20 minutes. If the edges are getting too brown, cover just the edges with foil. This is a wonderful dish to take to a friend or family who needs a home cooked meal. This also freezes well. Do not bake it. Just cover it with foil and freeze. To prepare, take it out of the freezer the night before and thaw in refrigerator.Then bake as directed.